The interfaces of everyday tools and devices are changing. From phones to electric cars to thermostats, the software’s ability to define and reconfigure both functionality and interactivity is changing how we expect products to behave. However, single-purpose box instruments still dominate the interactive test industry. These boxes, with physical inputs, screens, knobs, and buttons, have been fundamentally unchanged for half a century. NI has redefined benchtop testing with the VirtualBench all-in-one instrument. 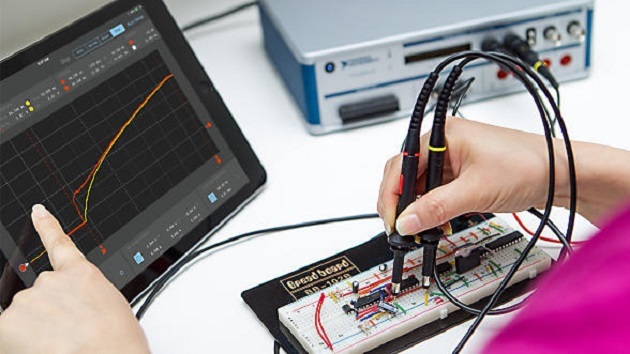 It combines the most essential instruments for day-to-day testing into a single device with a single interface that connects to your existing PC or iPad. In this way, you can become significantly more productive because you can benefit from your big screen, memory, connectivity, keyboard and mouse. In addition, VirtualBench includes record and playback and hands-free triggered file I/O features.